We believe that behind every Cacao bean there is a Tale to tell to the world, farmers that passionately believe in direct trade cacao and quality work for a better future for their family. Hola! 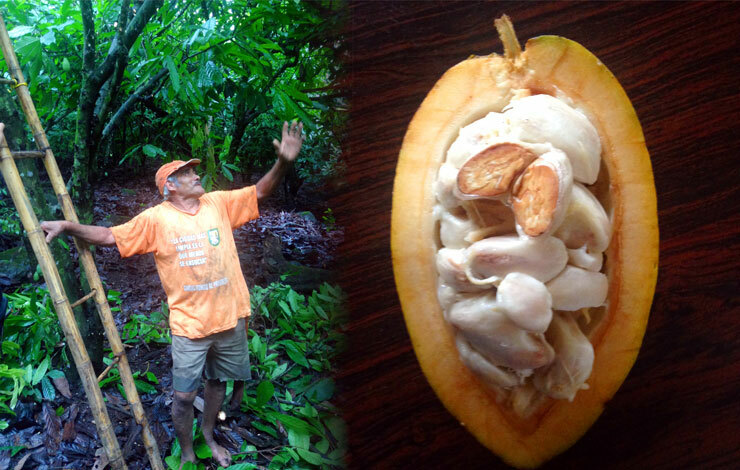 We are Cacaotales, smallholder cacao farmers. We find and work with small farmers, like us, to consolidate and directly trade premium, ultra premium, Micro Lots and Award Winning Cacao Beans. We are cacao farmers for the world's best artisan chocolatiers that believe in traceability, sustainability and direct connection between origins and buyers. Our cacao beans are better from the start, we are putting extra effort into the quality of our harvest, and actively improving our communities. Nothing excites us more than meeting the expectations of our chocolate making friends and discover new ways to improve the taste of our cacao beans. Born from our belief in a better future for smallholder cacao farmers, it's been quite a journey.